Based in Mawdesley, Lancashire, The Cake Pavilion owner Suzie Bunner creates luxury wedding cakes, celebration cakes, cupcakes, biscuits and dessert tables. We deliver and set up wedding cakes nationally, offering a highly personal, professional and friendly service, using only the best ingredients. We understand that this is your special occasion, it is our privilege to share in that and help bring your dreams to life. "Not only did our wedding cake taste amazing, it looked absolutely stunning. Suzie is an utter genius when it comes to cake designs, she really went above and beyond. The cake was so good we even ordered some beautiful cupcakes not long after the wedding! Thank you so much." "I can't thank Suzie enough for our beautiful wedding cake! Our handcrafted sugar topper was delightful - the best tasting cake around, and I've had my fair share! I'm still enjoying eating the last few slices. Gutted we're running out but we'll definitely be back on further occasions." 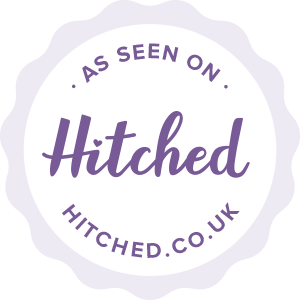 "Suzie made absolutely beautiful cupcakes for our wedding which tasted divine.We were delighted by the wonderful service we received, with Suzie going above and beyond by specially making gluten free versions for some of our guests. Can't recommend her highly enough."